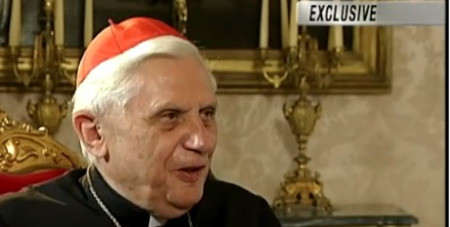 As we mark a year since his resignation, we return to an enlightening TV interview - still the only extended English language TV interview undertaken with the man who would become Pope Benedict XVI. What vision did Pope Bendict hold for the Church in the later stages of his service at Pope John Paul II's side as head of the Congregation for the Doctrine of the faith? How did he feel about the scourge of child abuse? What were his views on retirement? On post-Vatican II changes to the liturgy? Did he enjoy being a doctrinal enforcer? An encore from EWTN of Raymond Arroyo's 2003 landmark interview. To watch the video at YouTube, CLICK HERE.